Coffee enthusiasts can agree that a good cup of coffee is not easy to come by. And that you would give anything for your own coffee grinder. For the best coffee experience, consider a hand coffee grinder. Hand coffee grinders have been highly underestimated in the past few years, but today, they’re making a great comeback. This is because they give the same consistency of coffee grounds just like their electric counterparts. Better yet, a hand coffee grinder will let you grind to your preferred coarseness, unlike an electric grinder with preset grinding level. Most hand coffee grinders are compact and lightweight, so you can enjoy well-brewed coffee wherever you go. Let alone the fact that it has no inconveniences of a cable and power source. Buying the best coffee grinder, however, isn’t a direct purchase. There are a lot of things you need to put into considerations. To make your work much easier, we bring you the following top 10 best hand coffee grinder reviews in 2019 and guideline. Before you can read our best picks, go through the following guideline on how to find the best hand coffee grinder. Well, this will enlighten you on what to look for in the best hand coffee grinder. Grind Settings: If you can go from an espresso to French press coffee within a day, then you must pay attention to the grind settings. Most hand grinders have more than 10 settings. Therefore, focus on these settings; what they do and how easy it is to achieve your desired coffee grounds. Build Quality: For long-lasting performance, consider grinders with robust and strong handles. This is because the handles have a direct impact on the quality of your grind. 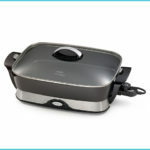 Hence, you should go for a model with stainless steel or ceramic body and stern handle. 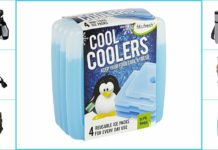 They are more durable and can endure several uses before wearing down. Capacity: Hand coffee grinders are ideal if you plan to grind coffee for 3 to 4 people. However, if you’re looking for a grinder that will help you make coffee for the entire family at ago then a hand grinder isn’t your best option. This is because it will take you slightly longer to do this. Now you can go through our thoroughly researched reviews to find out which grinder has what it takes to give you a tasty cup of coffee. Crafted with high-grade stainless steel, The Craft Hand Coffee Grinder is built to last a lifetime. At the center is a durable ceramic burr that is well-shaped to give you the most consistent coffee grounds. Unlike battery-powered grinders, the GrindPro Coffee Grinder uses a removable hand crank lever that eliminates loud noise. The fully adjustable ceramic burr comes with 18 different click settings, making it suitable for all kinds of coffee. As such, you can use it for fine, medium and coarse coffee grounds. The Hario Ceramic Coffee Mill has increased grind consistency and reduced wear; thanks to the reinforced hexagonal adapter. It is equipped with a calibrated collecting space, so you can measure the quantity of coffee already ground. The measurement is simple and easy to read. Whether you want coarse, medium or finely ground coffee, the ceramic mill is easy to adjust to give you a consistent grind for the perfect fresh coffee. This coffee grinder is designed with portability in mind. That is why it features small, slim and lightweight construction for easy storage and travel. The innovatively crafted SEASEA Manual Coffee Grinder boasts a rubberized base to prevent sliding while you grind. It is made of a premium ceramic core for better wear-resistance and extra durability. Ideally, this grinder is designed to work quietly; hence, you can use it when at the office, when your kids are asleep, or when you’re camping and don’t want to disturb the wildlife around. Compared to electric counterparts, this manual grinder can be adjusted to produce ultra-fine or coarse grounds, just how you like it. What’s more, this unit is easy to clean because all the parts can be easily separated into small parts. Crank out a custom blend by using The Kitchen Paradise Hand Coffee Grinder. It has great footings for a non-slip base as you grind. The grinder is accompanied by a book of recipes ranging from teas to espressos to let you get the most out of it. Furthermore, it has a core that is adjustable to enable you to grind coffee beans just how you like it. This coffee grinder is engineered for easy setup and use. Also, it is very quiet; hence, you won’t interfere with the people around you while grinding. Make fresh coffee from your comfort zone with the Oxifame Manual Coffee Grinder. The strongly built grinder doesn’t bend, chip or crack easily, and it stays shiny for several years of use. Therefore, it is no doubt the best manual coffee grinder you can add to your kitchen without the hassle and noise of an electric machine. This grinder is small and mobile in nature; thus, you can bring your coffee with you wherever you go. Moreover, it features a handle made of stainless steel, which is versatile and reliable to give you a consistent grind for any type of coffee. The originAIM Manual Coffee Grinder is no doubt the best electric coffee grinder. 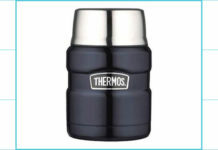 This is because it features an ergonomic handle that lets you grind coffee beans to your preferred coarseness. The base is coated with rubber to provide you with an anti-slip surface for a better grinding experience. 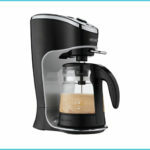 Moreover, it comes with an adjustable burr grind with a sealed lid for better storage of coffee grounds. 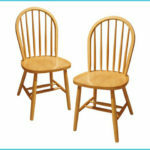 At the same time, it is made with high-quality materials that are durable to withstand several years of use. Designed by thousands of coffee enthusiasts around the world, the Handground Grinder is ideal for a consistent grind. It will allow you to turn the numbered ring to choose your preferred grinding option. 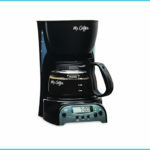 It features 15 grind settings to give you several options perfect for any brew options. Also, this grinder is constructed with 40mm conical ceramic burr and triple mounted axle to eliminate burr wobble. Caring for this grinder is very simple; no washing required. 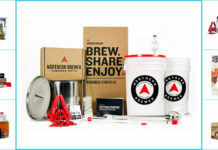 There is a brew magnet included with every grinder for easy cleaning. 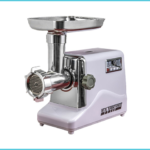 To ensure you enjoy the Khaw-Fee Manual Grinder for several years to come, the manufacturer has made it with stainless steel and ceramic materials which are durable. 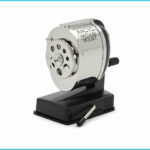 This grinder can be adjusted from coarse to fine as you like it, unlike electric grinder with a preset grinding level. It is quiet to ensure you grind even when your loved ones are sleeping. Furthermore, this grinder is loaded with thoughtful features to allow you to grind just the right amount immediately before you brew for the freshest coffee ever. Take your coffee brewing to a whole new level with the Kuissential Manual Coffee Grinder. It is equipped with an adjustable burr for various grind sizes. The grinder is made with a non-slip base to give you a better grinding experience. It is made with a ceramic burr that does not alter the flavor of coffee and will last you a lifetime on regular grinding. Besides, it comes with a new hopper lid that will keep the beans from jumping out as you grind. With over 18 click settings, this grinder ensures you have 100% control and precision over the coarseness of your grinding. The hand crank works with 90-percent less noise compared to an electric grinder. Crafted with a ceramic grinding burr, this grinder is durable and can last up to 5X longer than an ordinary grinder. It is small and compact to give you a portable unit that you can travel with. Besides, it is ergonomic and comes with a comprehensive guide, making it the best hand crank coffee grinder you can add to your kitchen today. There is no better way to enjoy tasty coffee than to make one for yourself anytime, anywhere. The units included in here have been subjected to thorough research to give you the best. But now the ball is in your court. So, go ahead and match the grinders with the guideline together with what you already know to make the best buy of the year.